More IPA beer, seems to be the beer of the moment, Rocky Knob, a brewer new to me, and their dIPA – SnapperHead. So I have New brewers, new bands, new numbers and new guy at a party. Finishes tropical yet bitter on the palate. Keg version of this, so 1 litres of a beer that is 7.4% ABV, that would be 222 calories a serve size, 70 IBU things, and this would be 5.84 standard drink units in NZ. A blend of Citra and Nelson Sauvin hops mean that this big boy weighs in with a fresh tropical punch on the nose and backs it up with a rich, passion fruit tang. 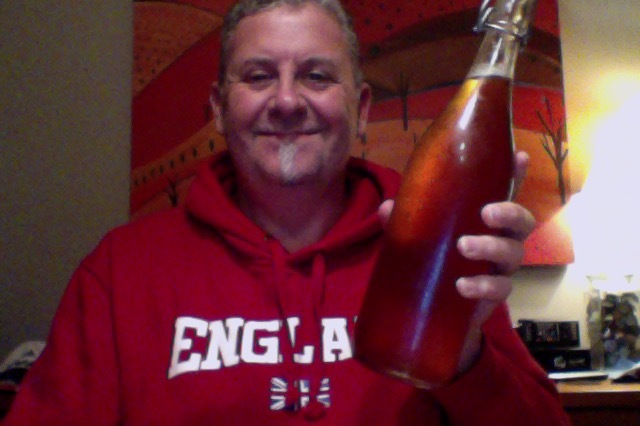 Passion fruit is the big first aroma out of the bottle that hold back what seems to be a well carbonated beer. It’s quite sweet at hop beer aromas go. Lovely pour of the light golden brown beer that forms a lovely persistent head, the passion fruit aroma is there, along with something like grapefruits. Surprised much! that is a cracking first sip. Lots of up front favours mask the bitterness then a warmth and then the slightly to dry finish. Definitely a full flavour beer. All of it not just the first or the last this has a lovely profile. The bitterness is nice, it catches you as the aroma as you are about to drink distracts you with the fruitiness, which transfers to the tongue. Joy abounds. MrsPdubyah just passed a remark that this beer has a lot of aroma, she’s in a different room! I’d call that a result. Of sorts, she won’t of course try the beer, it tastes yuk. It’s not all fantastic news though, despite the crushingly good first impression this does, on reflection, and more quaffing, has a lack of real body punch. But I have 2/3rds of the bottle left I’ve been quietly supping, and I’m really looking forward to drinking it, as the dryness grows at the finish and the citrus mellows at the front and the bitterness just bites you. I gave myself a pat on the back for buying this, it is after all another IPA, and that is a difficult field. 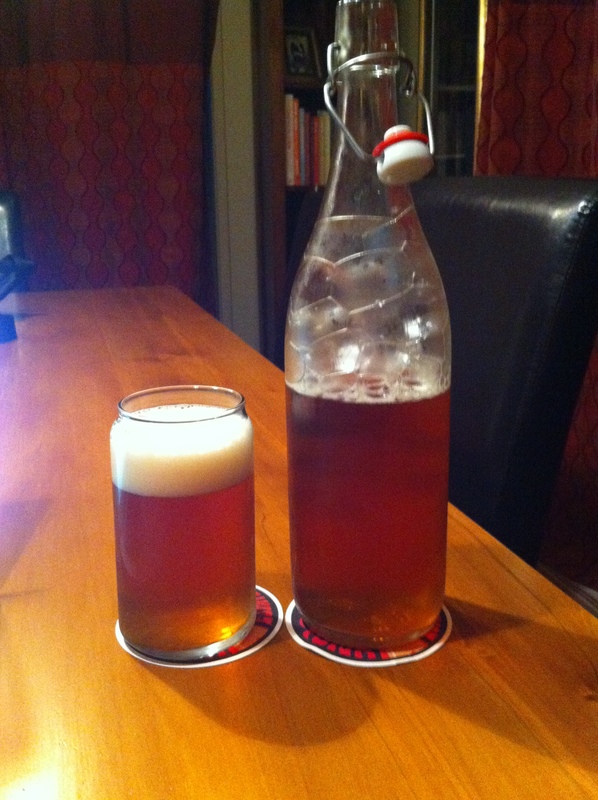 This is a beer that comes in two delivery styles as far as I can tell, keg/tap or pre-filled 1 litre growlers. I squish tested the bottles in the shop and they were soft, where I would have thought they should have been firm/hard to the squeeze, carbonation and all that, but I’m not prepared to spends coins to test that out though, I’m probably wrong, possibly, but from my days of home-brew an plastic bottles I don’t think I am. The pdubyah-o-meter rates this as 9 of its things from the thing. I’m having a lovely time drinking this, it is very engaging and entertaining, lots to chew on and ponder about, and to pick where it could be calmer or more aggressive or better. It’s lovely drinking beer, even if the dryness creeps up on the palate and numbs it somewhat, sometimes that is what the doctor calls for. Am I enjoying it? Oath! yes I am. Would I have another? I would so consider a refill tomorrow this has been lovely. Would I share with a friend on a porch and set the world to rights? I sure would, you could be lost in this for an evening, of easy going drinking, because it’s slightly at the end where too many would make you a bit wobbly. Whilst you’re listening you might want to pop over to see what Simon Says about beer and the Athlone Beer club he suggested the music that I’m currently listening to. I’d be honest and say they have some highlights and a some not so good stuff, but hey it’s a lot of music and songs over a lot of time, and not every album, if any, is a perfect work of goodness. Glad I listened though, if you don’t challenge yourself you can’t expect to be informed. Stone Brewing Company’s Stone Ruination IPA 2.0 Is What’s On Tap! Ha, good to hear, cheers for the auld plug as well! stand by for a spike in readers….. could happen …. There was a spike of three from NZ! This entry was posted on May 22, 2015 by Philip Walter in Beer, Beer of New Zealand, Beer Review, Craft Beer, Critic, Imperial/Double IPA, Justsaying, Rocky Knob and tagged Alcohol by volume, Beer, craft beer, India Pale Ale, Rocky Knob, Rocky Knob Brewing, Rocky Knob Snapperhead.